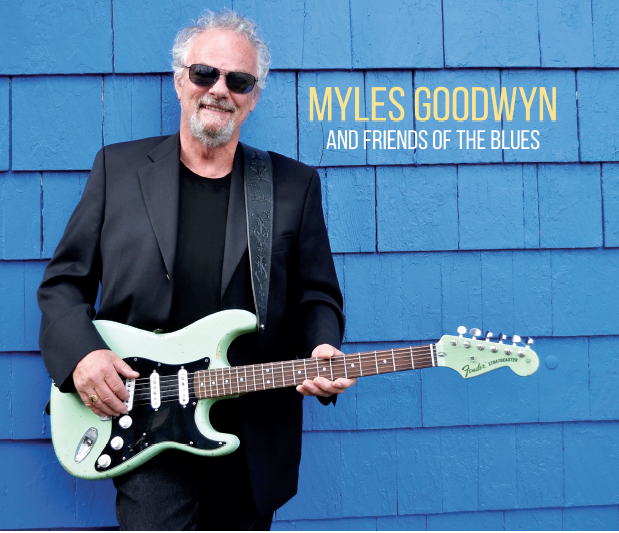 Myles Goodwyn, the lead singer and principal songwriter for April Wine (20 million albums sold), has apparently been a staunch blues fan all along. He has found the time to write songs and stockpile tracks for a possible album. He has also given a lot of thought to who might be suitable ‘Friends’ to help. As might be expected, he does best with rocking blues but there is much else to like as well. He does indeed rock out on the opening track and first single, “I Hate To See You Go (But I Love To Watch You Walk Away)”, an attractive song to a prospective companion made somewhat unusual by the songs of failed relationships to come. Friend Shaun Verreault of Wide Mouth Mason plays some fine slide guitar and Eric Khayat contributes a very effective horn arrangement. Garrett Mason contributes mightily to “Good Man In A Bad Place”, another fine rocker. “Brand New Cardboard Belt” has an attractive lyric about how the right attitude can overcome many obstacles. Montreal guitarist Steve Segal is a friend here along with Frank Marino who plays the ‘Hendrix’ solo. “Weeping Willow Tree Blues” is a very good slow blues with David Wilcox helping immensely on acoustic guitar. Another well-written lyric is “Last Time I’ll Ever Sing The Blues (For You)” with Rick Derringer on guitar. “I’ll Hate You (Till Death Do Us Part)” contains some lines many have no doubt thought of in the immediate aftermath of a breakup. Fortunately Goodwyn sings them as thoughts, not actions. Kenny “Blues Boss” Wayne is a friend here and Marino is back. “Nobody Lies (About Having The Blues)” is another well-written breakup song with Jack de Keyzer on lead guitar. “You Never Got The Best Of Me” is another keeper, with Amos Garrett on guitar and Joe Murphy on harp. By his own admission, Goodwyn is not a blues singer, but he sings credibly and his songs play to his strengths, he is a professional. This album is getting a big promotional push that will bring some well-deserved attention to Myles And Friends, maybe enough for another volume. The web site is www.mylesgoodwyn.com.